We have assembled a fantastic team here to serve you. We have 15 skilled individuals who have worked together as a single unit for many years. Over half of our team has been with us since we opened in 2006. The rest of our team has been added along the way to serve our growing needs. Our success is in our ability to assist each other in overcoming obstacles that would otherwise make complicated designs difficult to build. We are proud to say that you will be comfortable with each member of our team working in your home, not only in the skill level and respect of your home but in the quality of the people we work with. 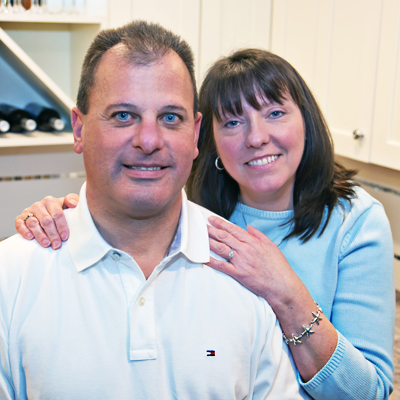 My wife and I founded Transitions in April of 2006 in order to provide a superior remodeling experience with expert craftsmanship to our clients. We knew that we could provide better and smoother service if everything needed for your project could be provided in one location, with one team responsible for every detail of the finished product. We achieve this by providing our clients with experienced designers in a showroom environment where all of the latest products you need to complete your project are on display. Our designers will present you with design options and guide you with materials and color selections. We want to oversee a project from concept to completion and hold our customer’s hand the whole way. We manage the planning and deal with all of the challenges and issues that inevitably show up during remodeling. Our clients are busy people with a lot on their plates. We understand that remodeling can be disruptive and stressful and we want to make it simple, beautiful, on time and on budget. We strive to treat our customers with the respect that they deserve. 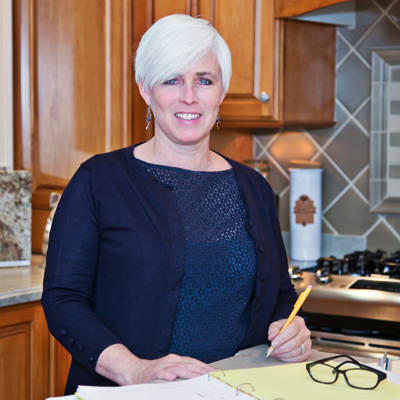 Karen has been designing at Transitions since 2008 and has over 25 years of experience working on both kitchen & bath design and with residential design-build firms. Karen has exceptional vision and helps her clients determine their design aesthetic. She enjoys creating designs that are very personal and unique. Karen will preselect materials that fit your taste and present groupings to you to assist in making selections. She is great with color and truly makes the decision easy. Karen specializes in projects where Transitions provides all the materials and contracting services from start to finish. 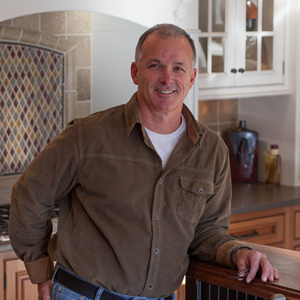 John Donahue has been an established kitchen designer since 1999. Drawing from traditional as well as transitional influences, John’s work is realized throughout beautiful homes on the South Shore. With an on-time and on-budget approach, he guides the client through the design process to create homes that reflect a comfortable and personal aesthetic. For over 15 years clients have relied on John’s originality, creativity and great taste across a broad range of interior styles. Demonstrating a strong integrity with his loyal customer base has been a key ingredient in Transitions KBR being recognized as an award winning remodeler in our community. Blending a keen eye for selecting unique materials with professional craftsmanship and execution, John collaborates with architects, builders and artisans to result in the client’s ultimate vision. Veronica, a Scituate native, relies on her art and interior design background to bring fresh ideas and creativity to her clients’ projects. 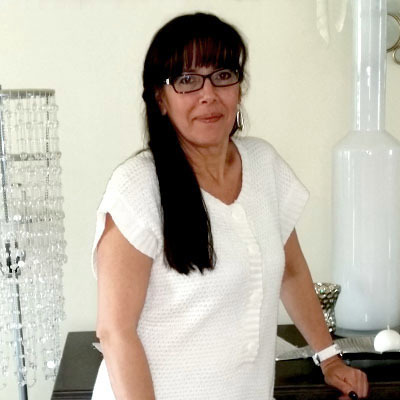 Having a family residential construction business has kept Veronica at the leading edge of the industry for 20 years. Transitions owner, Craig Ricciarelli, is the lead project manager on every job we do. He reviews the final design in your home and creates a comprehensive estimate. Your Designer and our Project Manager review all the details of your project with you: design, materials, pricing, options, work schedule and payments so there are no surprises. Craig and his team leaders will provide you with a work schedule, oversee every phase of the job and remain continually available to meet and review progress in person, by cell phone or by email. The Transitions team has been working together for over ten years. On staff we have a crew of ten including a general contractor, demo & framing crew, finish carpenters, plumber, electrician & tile installer. A large part of our business is working with builders, architects and interior designers. We are happy to work with your contractor. Contractors are likely to be repeat customers, so we treat them as our partners. We offer services to contractors directly and customers working with a contractor. These services range from design and materials only to cabinet and appliance installation. If you are a building professional and would like to discuss our hand held services for your client, please click here to contact me directly.